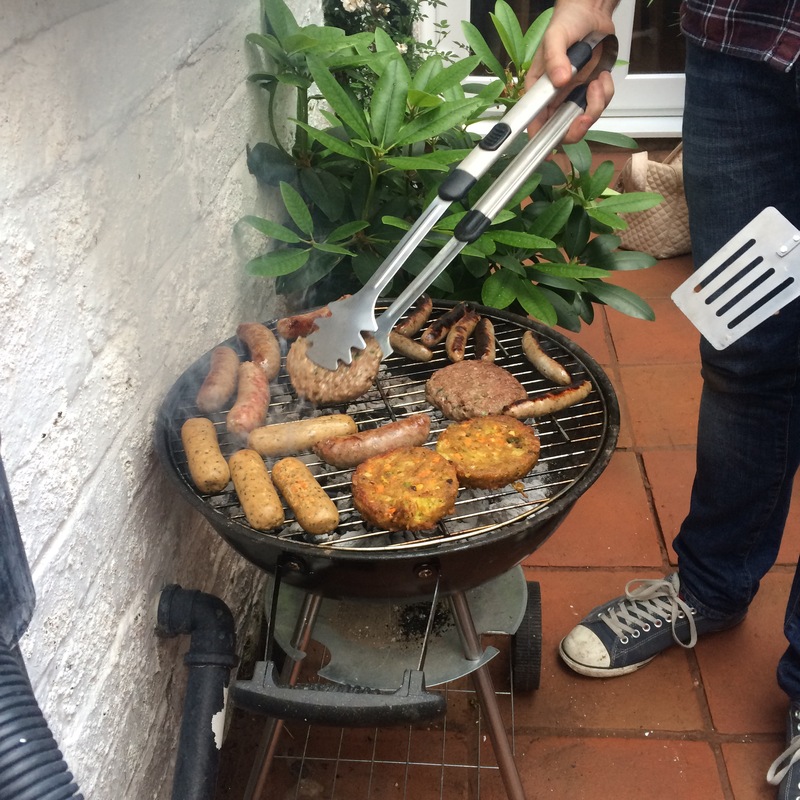 This evening we held our first barbecue of the year. To be honest I wasn’t sure if it was going to happen when the heavens opened this morning and left rivers running down the street. The rain was torrential… I kind of felt silly shopping at the farmers market today for sausages, burgers and buns!! The guy at the bread stall laughed out loud when I said I wanted rolls for a barbie and his chum on the stall next door recommended I hopped down to B & Q for a gazebo! 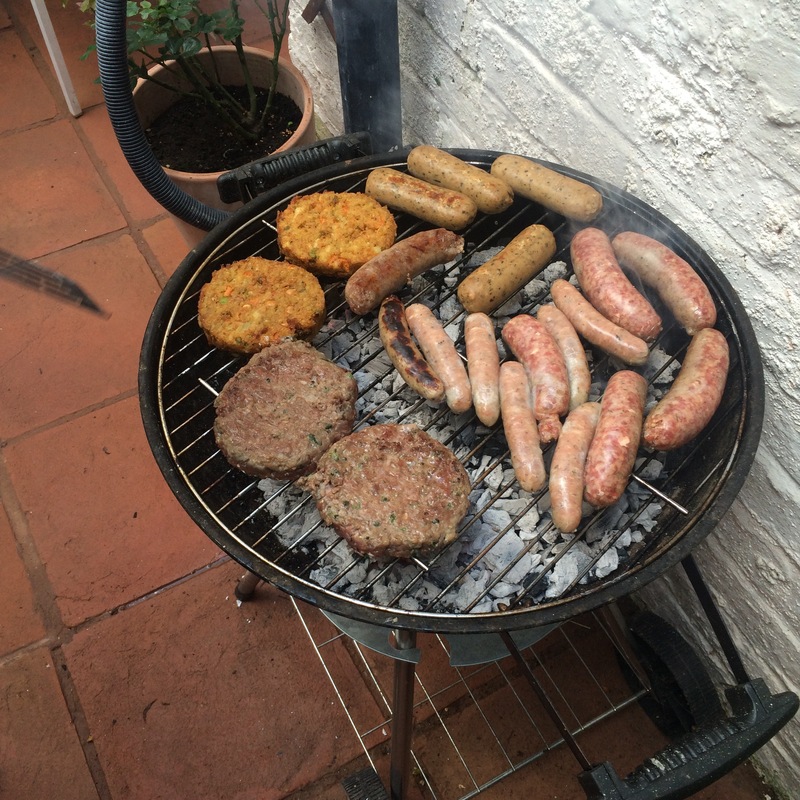 But… The rain passed and the sky cleared and it turned into perfect weather for a barbecue. 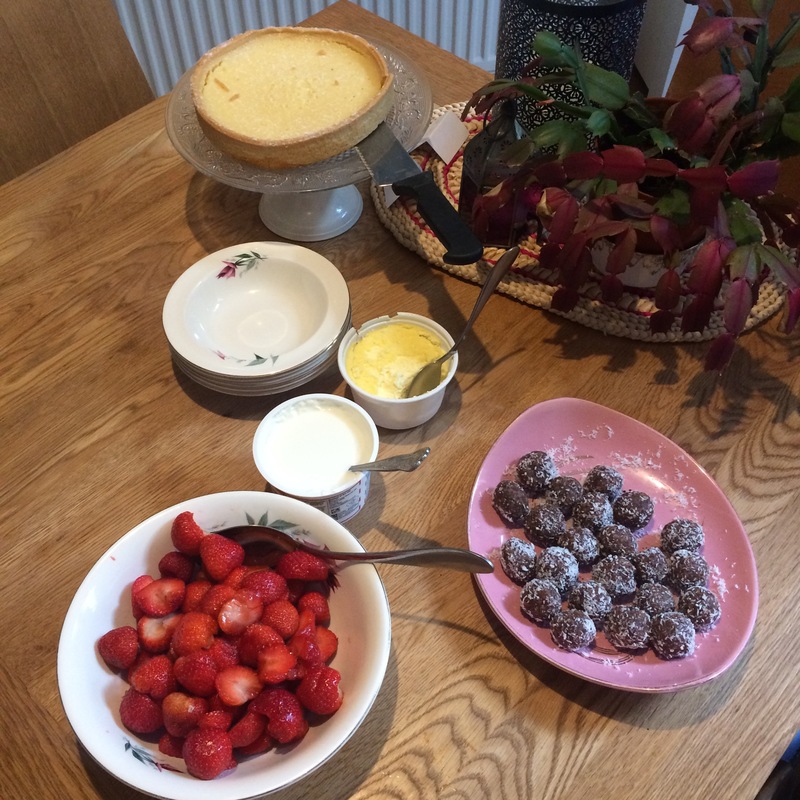 The main reason for the barbecue was a belated celebration for my friend Serenas birthday. 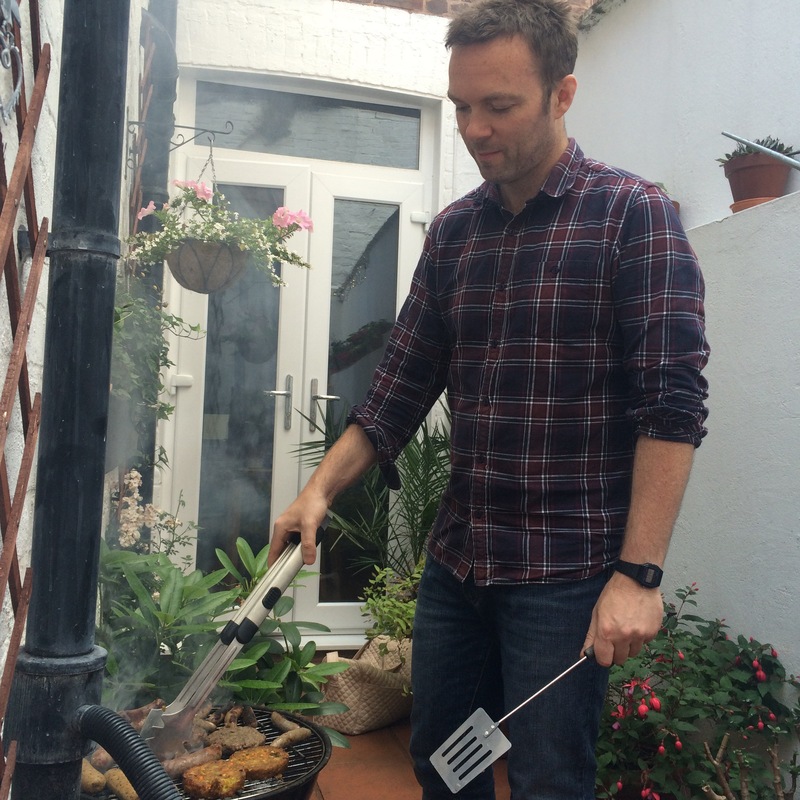 Steve was in charge of the barbecue… It’s the only occasion that I let him take charge of the cooking! I had made a salad, some bread and houmous throughout the afternoon in preparation. I love afternoons when you can mooch around the kitchen and whip up lots of different lovely things. We purchased some veal burgers from Bocaddon Farm and some Toulouse sausages from Moonbeams. Both from our farmers market. I don’t eat meat but Steve, Serena and Ben said they were all beautiful. Emma and I stuck with some veggie sausages and I roasted some vegetables with haloumi in the oven. Yummy! 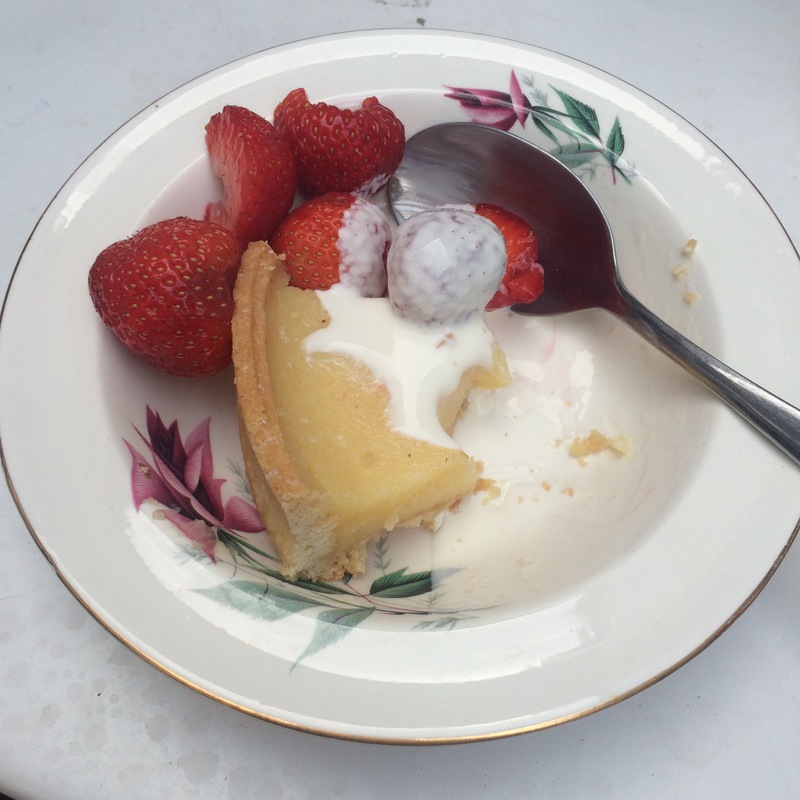 For pudding we feasted on a lemon tart that Serena had come along with and I already had lots of local strawberries and clotted cream. It was all so yummy! I also made some date and coconut truffles which always seem to be a winner when I make them. 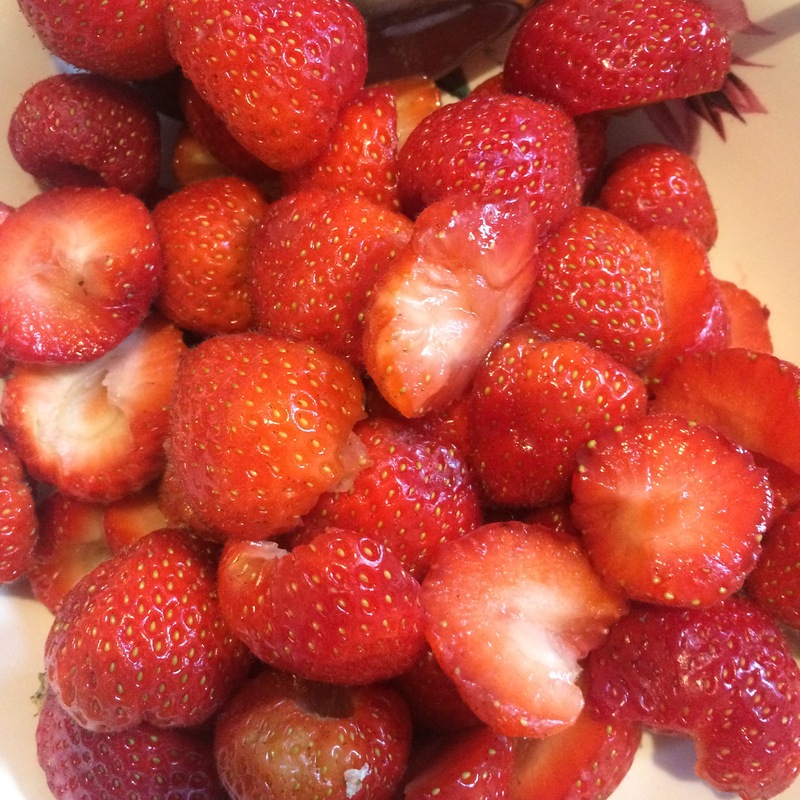 The recipe is on a previous blog if you fancy a go.. They are so, so easy! It was a lovely evening and so nice to actually sit outside under the summer sun considering the day had started so badly. I hope Serena had a lovely evening as a little belated birthday treat. I can’t wait for many more barbecues over the next few months. You just can’t beat eating outside with friends. Lots of chatter and good food. Here’s to many more! !